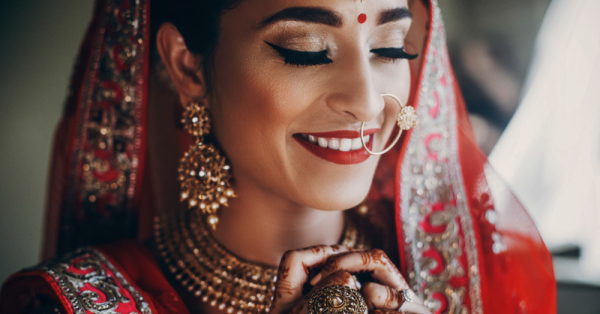 The Ultimate Indian Wedding Dress Guide For The Bride And Her Family! Indian weddings are famous across the whole wide world for there larger-than-life appeal, extravagant decor, and gorgeous clothes. With months and even years of planning culminating into a day, it is bound to be a big, fat affair. Punjabi weddings may be the most popular out there, but people really need to visit a Bengali or a Keralite affair to understand that it is not just Punjabis who like it lavish. While all the other arrangements may subtle or extra depending on the couple, we will all agree that choosing the wedding costume is undoubtedly the hardest job out there. If you are any bit like us, you would have already decided your dream look in your head, and not just for your own wedding but also for your brother's wedding and your sister's wedding. Deciding what to wear can be tough as there are so many factors to keep in mind. You need to allocate a good budget, you need to know the right shopping hubs, you need to know the designers who offer best designs in affordable price ranges and you also need to decide the colours, embroidery or work, the patterns you prefer, the neckline, the fabric, and so, basically everything under the sun. It even reads daunting, imagine doing it! But to make things easier and to save you the time you would spend on your R&D, we have listed down all the possible things you would want to know when deciding on your wedding dress. From styles to designers, from price range to FAQs, here's an Indian wedding dress guide that's so exhaustive, you don't need to read anything else. The dress styles that you choose for Indian weddings differ for different occasions. For a novice, here's a guide as to what to wear and what not to wear on the following functions. Know that the engagement's a low-key function that doesn't involve as much dancing around as sangeet does. Gowns and plain lehengas are the most popular choice among millennials today, for brides as well as her relatives. To avoid: Suits are not the best choice for engagement as they look more casual than you should look during an engagement function. You may also avoid sarees as engagements today are becoming more about being different and modern and not traditional. For sangeet and mehendi, you need to choose something that's flowy and comfortable. Sangeet is about having fun and dancing and hence, is messy. You must choose something that’s lightweight and pair it with a comfortable set of heels. To avoid: Avoid wearing simple suits or those whose cuts restrict your movement. The wedding is the big day for everyone and hence, your choice of dress needs to be spectacular. Wear something that bespeaks the importance of the big day. Go for heavy floor-length anarkalis or embroidered sarees or lehengas. The bride needs to pick something that is unique and glamorous. It should be a dress that stands out from everybody else as it is her evening and she must look the best. To avoid: Try not to wear something that is not the smartest or your best choice. Simple A-line kurtas or western gowns may not be the best pick. Also, keep the weather in mind when choosing your outfit. A lot of women search for Indian wedding dress guide for their body type. While everything looks graceful if you wear it in style, there are certain guidelines that can help you flaunt your natural curves or cover up any flaws you may have. Here is a guide about the styles that suit different body types. Triangular (When your upper body is slimmer than your lower body) - Sarees will look best on you. Sarees flatter your curves like no other outfit. Inverted Triangle (When your upper body is fuller than your lower body) - Go for bottoms that are loose, flowy or accentuated. Double can-cans in gowns or lehengas will make your figure look perfect. Hourglass (When you have a balanced upper body and lower body ratio with a smaller waist) - Well, if you have an hourglass figure and you are still worried about what will suit your body type, you really don’t know the worth of your figure. Experiment with everything or anything but just show your beautiful waist in whatever you choose. Rectangular (When your body does not have curves. 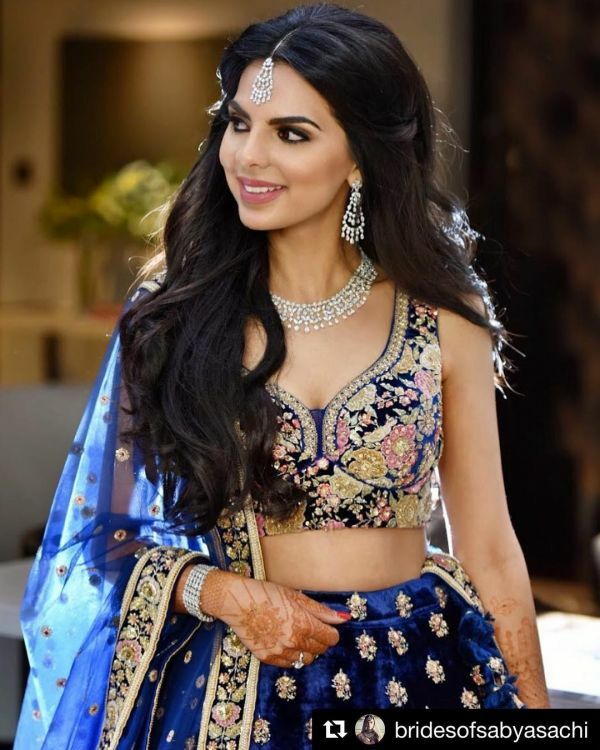 It is when there is not a considerable difference in the size of your breast, waist, and hips) - One tip that can help you look curvy is that you can drape your dupatta or pallu in such a way that it slants from the abdomen to the navel. This will give you a pseudo curvy look. It is often a cause of much fret for women who are short to decide a lehenga that will make them look taller. It can be a bit trickier for you if you’re also curvy. Well, as POPxo always says, happy brides are the prettiest, so till the time you are happy in your skin, nothing really makes a difference. Anyway, however you look, it is always good to own it. But, we do what we do best - give you styling advice. Now, if you are curvy or short (or both), there are certain things you can do to look more toned. Fabric: Go for flowy fabrics like silk chiffon, sheer, georgette, or even net. You should never add volume to your lehenga by wearing velvet, brocade or silk as it will only make you look plumper and short. Keep it less embellished: Don't go for very heavy works as it will only add kilos not just to your lehenga but to your look as well. Choose a nice fabric and let that do all the talking. Go for monotones: Don’t go for multiple colours. Choose solids or a monochrome tone as it will help you streamline your look. Go for smaller, vertical prints: Choose designs and motifs that are small, thin and chic. Choosing prints that are too bold and spacy will make you look shorter. Also, choose designs that are vertical as this will add height to your look. Forget thick borders: It will be a blunder to go for borders that are too thick, bold or double-aligned. They will only take away from your height. Not to forget, invest in a good pair of heels. Make sure they are comfortable, even if they are a bit pricey. Having the right pair of heels is very important to last happily and pain-free during a wedding. Takeaway: Keep it simple and classy. Don’t go for over-embellished looks and let your fabric say everything about your style. Fair - Avoid wearing colours that are too dark as they will only take away from the glow of your appearance. Instead, opt for colours that make you appear brighter and happier. You can opt for peaches, oranges, fuschia, or even yellow. Olive - The most common Indian complexion, if you are blessed with an olive skin, you can literally choose whatever you like. Go for reds, maroons, blues, oranges or anything under the sun. However, a little piece of advice is that don’t opt for neon colours as they can make you look dull. Also, they can totally kill your photographs. Dark - You can be the most sensuous bride and to get in the right feel, pick colours that are deep. Go for wine, deep maroon, navy blue, dark green, and so on. If you are one of those brides who want a big, lavish affair, you definitely want to go for a designer lehenga. Different designers have different styles and to know which one’s for you, you will need to do a lot of research. To make things simpler for you, we have laid down a list of designers you can opt for and how much they will cost you. Tarun Tahiliani: If you loved Shilpa Shetty’s bridal gear and her reception saree gown, Tarun Tahiliani is the one for you. He is one of India’s first international designers. Known for intricate and heavy bridal wear, here are a few designs by the famous designer. Manish Malhotra: Bollywood’s favourite, Manish Malhotra is a dream wedding designer for most brides. He’s dressed Sridevi and even Janhvi Kapoor swears by him. If he is your dream designer, here are some of his designs which we absolutely adore. 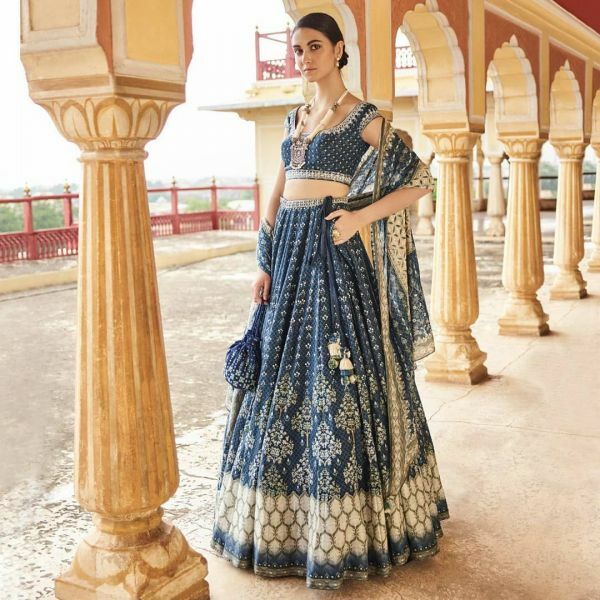 Anita Dongre: If Rajasthan’s grandeur sweeps you off your feet, Anita Dongre’s designs will too. The famous Indian designer’s muse is Rajasthan’s craft tradition and her designs totally bespeak it. Her designs are handmade with the finest of silks for the modern bride who loves the taste of the royal Rajasthan. 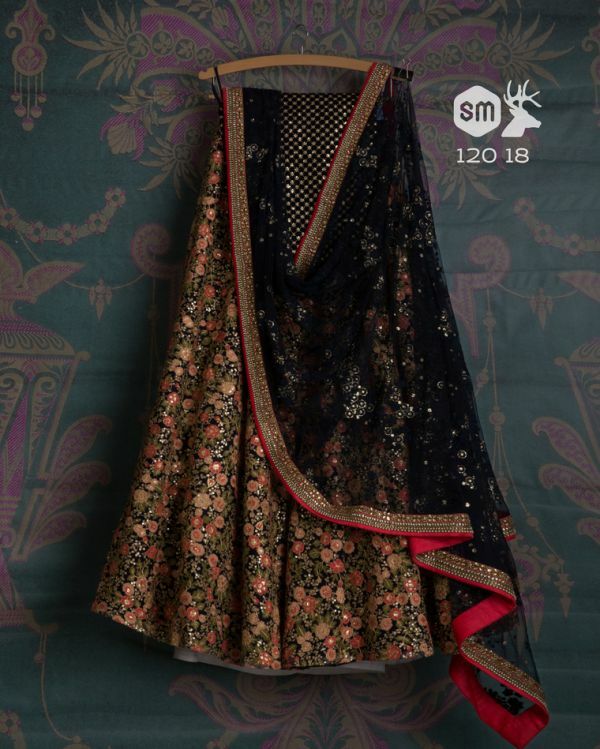 Sabyasachi: Well, if you have given to the hype of a Sabyasachi lehenga (and definitely rightly so as we also adore his designs), then his designs will never let you be anything short of a spectacle at your wedding. He even dressed Anushka Sharma for all her wedding functions! If you are a fan, here are some designs by him to help you decide. Neeta Lulla: The trend-setting B-Town designer, Neeta Lulla has been designing wedding dresses since 1985. If you have the Czarina of Indian Fashion as your dream designer, here are some of her designs that we picked. Abu Jani and Sandeep Khosla, Anamika Khanna, Masaba Gupta, Rohit Bal and Anju Modi are some more of the designers who are on top of the list. 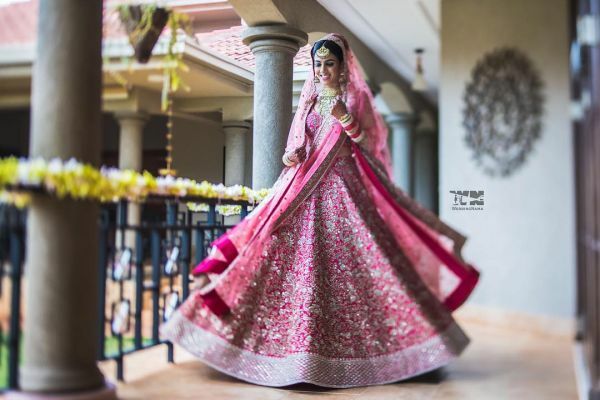 If you want to go for these designers but are on a budget, you can always rent their lehengas from renting websites like Flyrobe and Swishlist. They cost around 40k to 60k and you can live your dream wedding. If you think that the above designers do not fall within your budget range, we totally get that. They are the most popular ones but they are also not affordable for most of us. 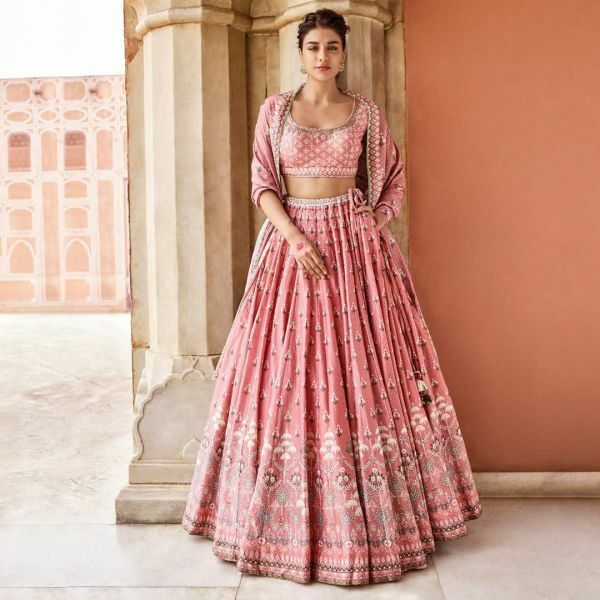 However, if you think that you can spend about a lac or slightly more, the designers you can go for include Anushree Reddy, Papa Don’t Preach, Astha Narang, Devnaagri, Jade by Monica and Karishma, Sue Mue and Nidhi Tholia. So, we also have this budget list that still looks super amazing. 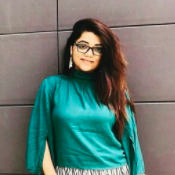 Swati Manish, Frontier Raas, Mrunalini Rao, Priti Sahni, Ritika Mirchandani, Abhinav Mishra and Joe Mansoori are some of the designers that are affordable and have amazing designs. With the Tinsel Town brimming with merry news of weddings lately, there’s no dearth of brides who swept the entire nation away. When we are talking about brides you can take a cue from, you don’t really need to go really far in history to spot them. The recent years saw gorgeous wedding avatars of many, many celebrities. If you want to take inspiration from them, here’s a list of our fave B-Town actresses who looked nothing short of surreal on their gala weddings. Talk about the night of mehendi or the reception functions, the Rab Ne Bana Di Jodi actress looked flawless each time. 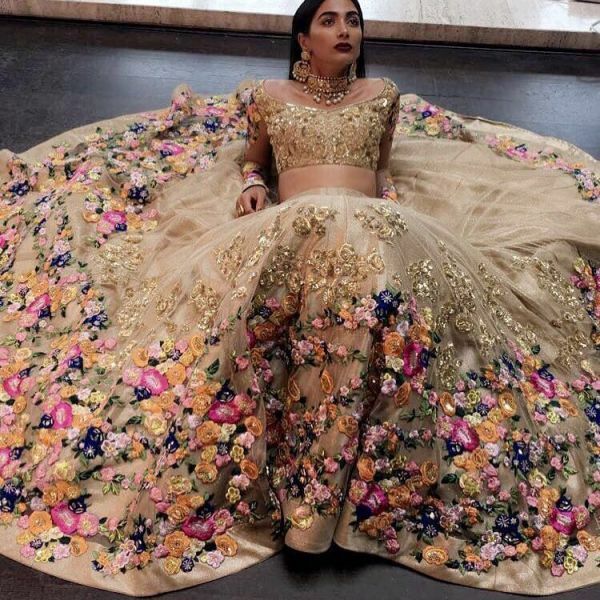 Her floral wedding lehenga, in fact, became a statement for the months that followed her wedding as brides were looking only for spring, floral designs. Her multi-coloured Boho mehendi outfit was also one of our favourites. 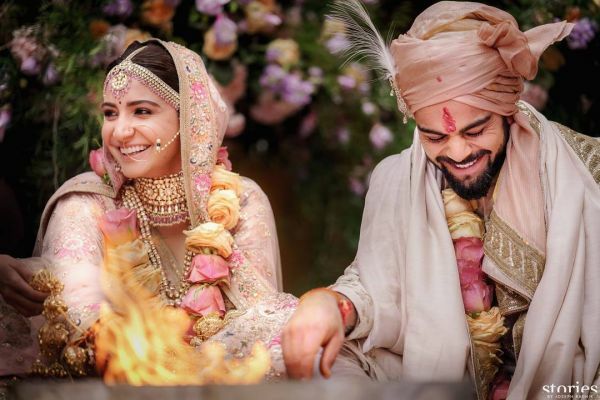 Anushka definitely has to be the best Sabyasachi bride that we have seen, yet. Talk about style and a terrific sense of fashion, and none other than Sonam Kapoor comes to your mind. While everyone was debating whether Sonam would go contemporary or traditional on her wedding, the style diva chose the latter, proving that tradition never goes out of style. Her classic red lehenga by Anuradha Vakil looked fabulous and the actress styled it with an elaborate maathapatti. However, we have to admit that we loved her Abu Jani & Sandeep Khosla sangeet ensemble as much, if not more. 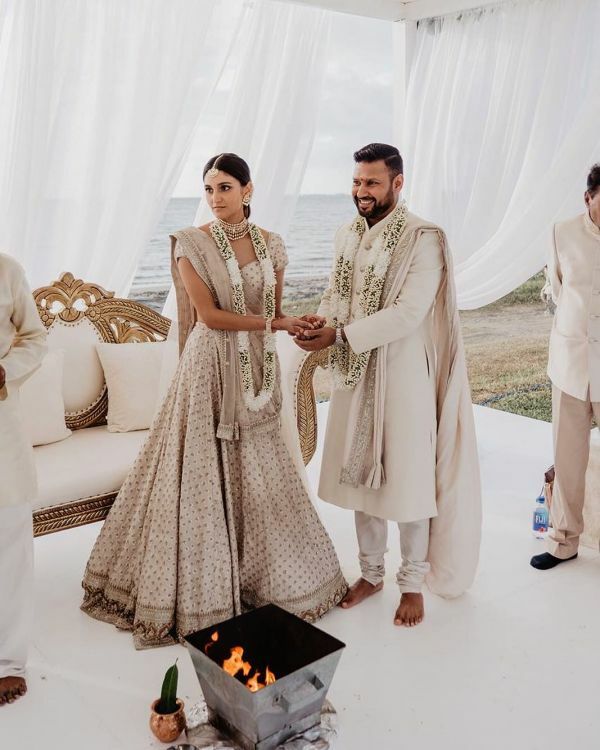 Though the actress chose tradition for her big day, those who were vouching that she would go contemporary got a part win with her modern reception ensemble. If you are the bride who shies away from the sight of makeup and believes in minimalism, Sagarika’s look is totally for you. The actress looked nothing less than a sight to behold as her beautiful skin did all the magic and she didn’t need anything else. 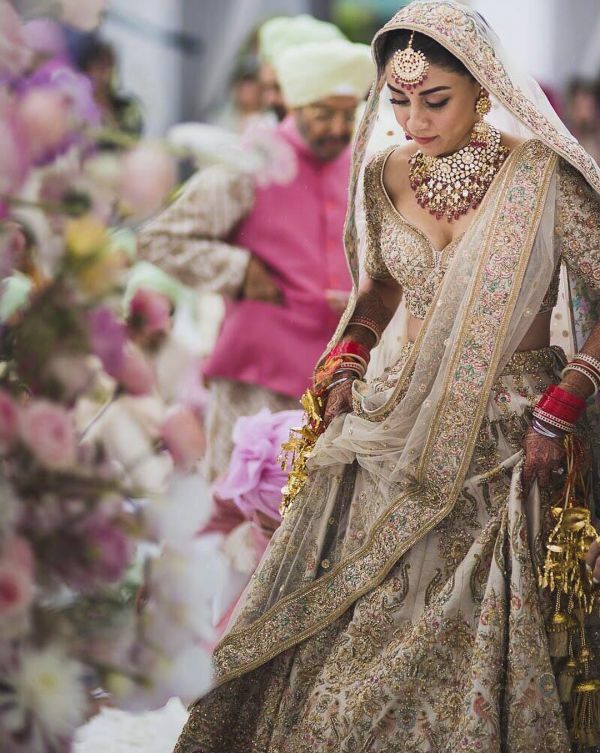 We simply loved her choice of colours and from her blood red Sabyasachi sari to her grey Falguni and Shane Peacock lehenga, she is sure to inspire your wedding style. 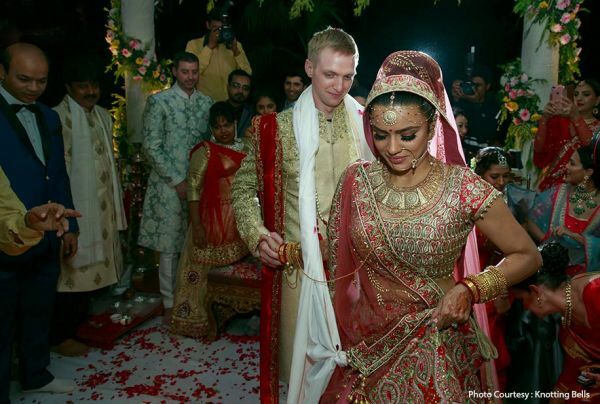 Talk about the beauty of a marriage across two cultures and Aashka Goradia’s wedlock to Brent Goble is the perfect example. The TV actress could be seen flaunting both the looks, that of a Christian bride in a gorgeous white gown as well as the traditional bride in red which was heavily embellished. Just like Sagarika, Aashka also showcased an array of pretty colours, choosing pinks, yellows, and blues. Want to go all golden on your big day but not sure how it will turn out to be? Well, you need to check out Amrita Puri. Aisha actress looked breathtaking in an entirely golden ensemble by Sabyasachi that was intricately embellished. 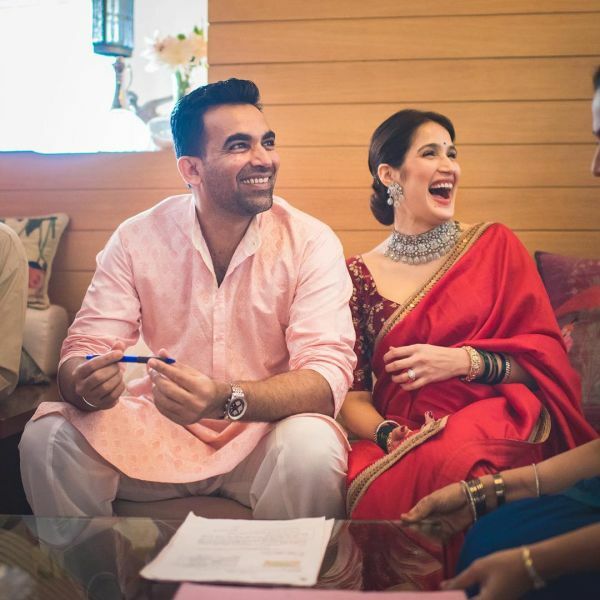 The actress got hitched to her restaurateur beau Imrun Sethi and their perfect Sikh wedding was all too pretty. We also loved the net dupatta that Amrita wore as it had a very beautiful border that totally accentuated her look. The bride who wants to keep it traditional yet minimalistic, this pick is for you. We simply loved how her look is so simple, yet the red colour adds drama to it. Also, her choice of jewellery makes up for the simplicity of her choli, making her look even classier. Love how regal blue looks? This bride proves so. 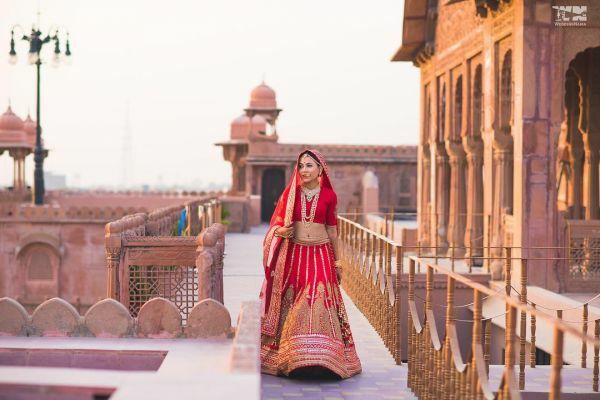 The lehenga that she has picked for her wedding is hatke and totally worth it. Here’s another bride proving why blue is the new cool. Also, her minimal makeup totally complements the brightness that blue brings to one’s look. Who said that you can’t go bubblegum pink on your wedding? This bride is totally putting all our doubts away when it comes to donning pink on your D-day. 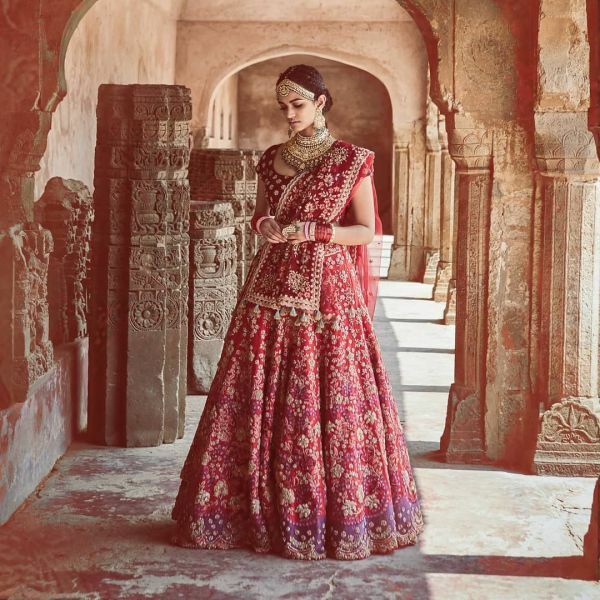 Captured beautifully while twirling, her intricately embellished lehenga is nothing short of picturesque. If pink is your colour, this look is also worth deliberation. The bride is looking all too stunning in a suit that is intricately embellished around the chest and along the hem of the dress. Are you a saree bride over a lehenga bride? Then, you gotta have some swag. 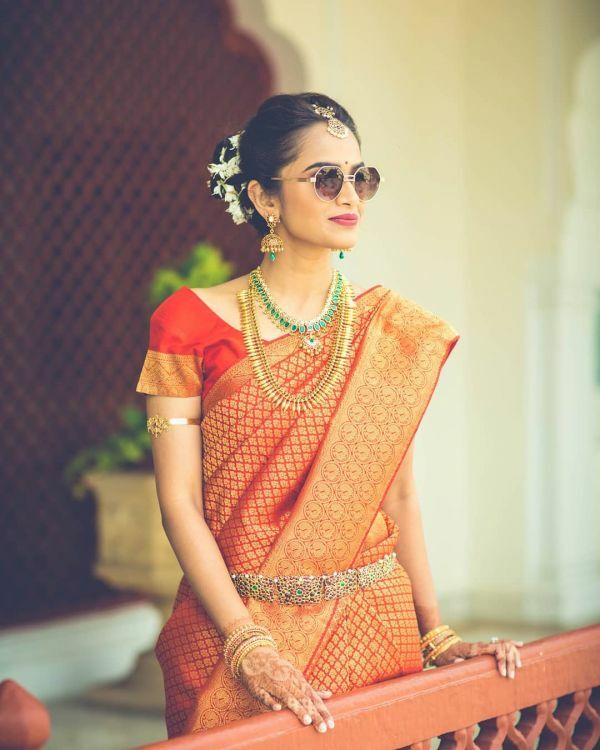 This bride’s bright orange and red saree looks as classic as it gets. Making a case for muted shades, this minimalistic bride is the dream look for a girl who likes to keep the affair at its simplest best. Her ensemble is by Sabyasachi and it looks every bit stylish as much as it looks simple. 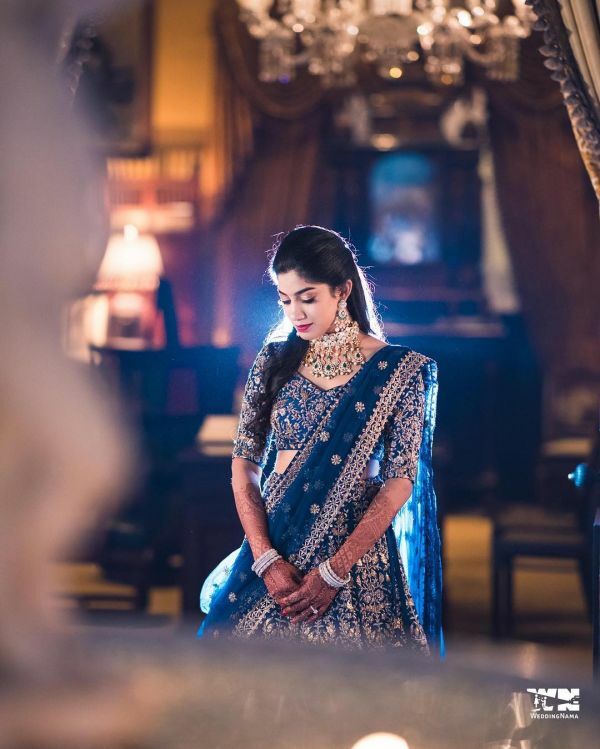 Another Sabyasachi bride making a case for a serene lehenga, we simply love her minimal jewellery and ensemble. For brides: While you are choosing the fabric and the embellishments for your D-day's attire, make sure that you opt for options that are friendly to the weather of your wedding day. If you are a summer bride, do not go for velvets and silks which are heavily embellished. Doing so won't only render you uncomfortable but will also not go with the feel of the wedding. However, the same fabric will look absolutely royal on a winter bride. Also, at the same time, make sure that whatever you choose has a signature element to it. Whether you are a bride from the minimalistic town or one who dreams of a bollywood lavish affair, wear something that is totally your style. You’ll be able to carry it off better! For relatives: Whenever you are deciding on your attire for a brother's, sister's, friend's, cousin's or anyone's wedding you are really close to, make sure that you never overpower their ensemble. It's always best to dress humbly so that you compliment the protagonist of the evening. Keep your ensemble embellished just right so that it is neither overboard nor too casual for the occasion. Be it the bride herself or her relatives, know that trends are there to add value to your decisions, not dictate them entirely. Also, what may look absolutely breathtaking on your fave actress may not look the same on you. Different things look good on ramps while different things work in real life. Don't give in too much to what's fashionable and what's not. Especially the brides-to-be must understand that their wedding is not a temperamental affair but one that they must cherish for their entire lives. So, it is best kept classic than trendy. If you think that from your tassels to the border of your dupatta, from your footwear to your hair accessories, everything needs to be matching, you are in for a major blunder. A single colour may look great but don't overdo monotone. Especially for the modern bride, contrasts are the thing to bid for. You must mix and match colours and even styles because, why not! The freedom to mix and match is more with the relatives as they can experiment more than the brides can. Never restrict your imagination and try out different things. You never know when you may come up with the ideal combination that you would like for your own wedding too! This is a tip for the brides who may get too excited about incorporating each and everything in her look. We know that it's your big day and we also know that you have prepped for it probably since you were in your teens, but this does not mean that you end up doing everything that crossed your mind. For example, you can't be very bold with your attire, jewellery as well as your makeup at the same time. Learn to differentiate between ethereal and gaudy. 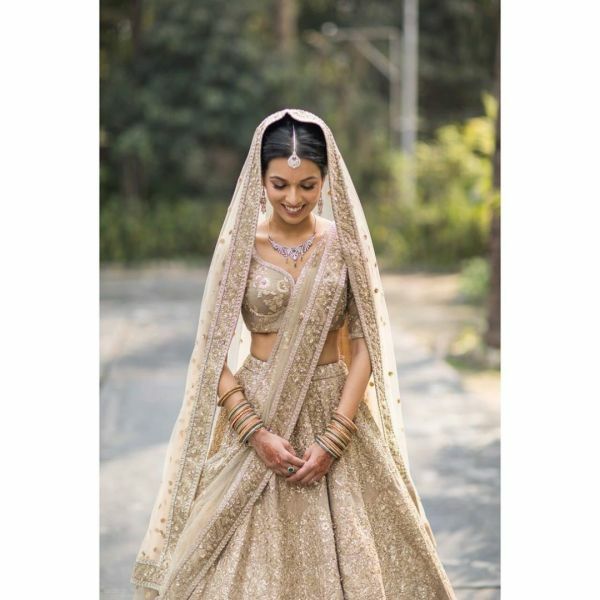 Most commonly, the length of the lehenga is kept a few inches below your feet to make you look taller and also because you mostly wear heels with your Indian ensemble. However, more often than not, most girls are struggling with lehengas that have been kept too long. It is fine to keep a generous amount extra but do buy your heels well in advance so you can inform your designer about the length that you want. If you’re planning to wear juttis, the length of your lehenga should be kept just a little below the ankles. Also, another way to look taller is by maintaining a gap of three to four inches between your blouse and lehenga. If you wear your lehenga too high on the waist, you may actually look shorter. Most lehengas these days are stuffed with can-can to give you that voluminous look. However, you need to be sure that you want all that volume in your look. An overdone can-can can look really unappealing, just as bad as a badly fitted blouse. Give yourself enough time to set all the details right before your big day. Before you set your heart to a particular style or pattern, it is important to understand what suits your body type and what does not. Let's say you have a heavy bottom and a sleek upper body. In that case, you must make sure that you wear a design that flaunts your collarbone while you can go for a flowy lehenga. If you are short, avoid going for high necks as they can make you look shorter. Q1. I don't want to go for red colour. Which other options do I have? Brides are all about experimenting today. If you think that the traditional red is not your taste, you can go for any colour that you may like. However, it is best to pair colours as per your complexion. To make things easier for you, here’s a list of colours that best suit the corresponding complexions. Q2. What lehenga design would suit my body type? It is best to go for an ensemble that suits your body type. To keep things simpler for you, here we have listed which kinds of dresses look best on which body shape. Hourglass (When you have a balanced upper body and lower body ratio with a smaller waist) - Well if you have an hourglass figure and you are still worried about what will suit your body type, you really don’t know the worth of your figure. Experiment with everything or anything but just show your beautiful waist in whatever you choose. Q3. What kind of a blouse should I go for? Many brides choose to go for a common V-neck with half sleeves blouse. However, it is your big day and you are the one who gets to decide as to what you will wear. If you want to browse bridal blouse designs, here’s a list of 130 designs (LINK) curated by our team. Q4. What are the best fabrics for summer and winter? Pick silk chiffon, sheer, georgette, or even net for summer while velvets, silks, and brocades for winter. Q5. 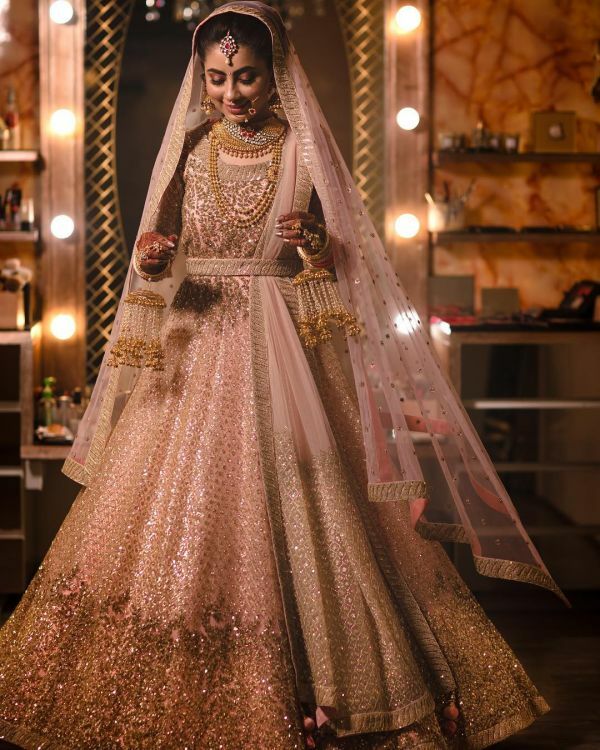 What is the minimum budget I need for a designer lehenga? Different designers cost differently. If you want to go for celebrity designers like Anita Dongre and Sabyasachi, you should keep at least 2.5 lacs aside for your lehenga. This is the minimum that you will need as customisations cost more. If you are on a budget, you can also get one for around Rs. 50,000 from designers such as Swati Manish, Frontier Raas, Mrunalini Rao, and Priti Sahni.